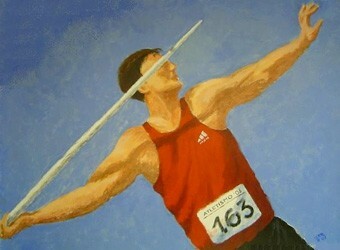 A colleague at work asked me to do a sports- themed painting. You can see the sketches that led to the painting in the Drawings album. Un colega del trabajo me pidió un cuadro con temática deportiva. Puedes ver los bocetos que llevaron a este cuadro en el album de Dibujos.